We offer a full suite of services for people from all walks of life. From helping individual investors and business owners, to retirees and more, we specialize in integrating every area of your financial life. Whatever you may hope to achieve, we’ll help ensure your plan works in unison so you can stay focused on what matters most. As your financial stewards, our goal is simple: to help you grow and protect your assets. We build comprehensive and customized strategies that take everything into consideration. Whether you’re just starting your career or are preparing for retirement, we strive to satisfy the needs of today while laying the foundation for tomorrow. Uncertainty is a part of life. 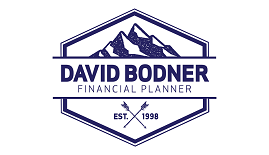 As a comprehensive financial planning firm, we offer a full suite of insurance policies, including life, disability income and long term care insurance for the continued protection of your assets. While monitoring your existing policies to guard against loopholes, we will seek new opportunities to defend what you’ve worked so hard to achieve.